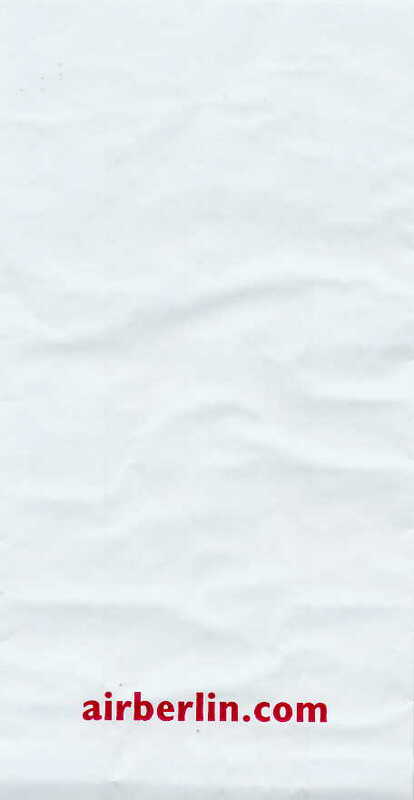 Apparently, this barf bag is the treasure of Myanmar. 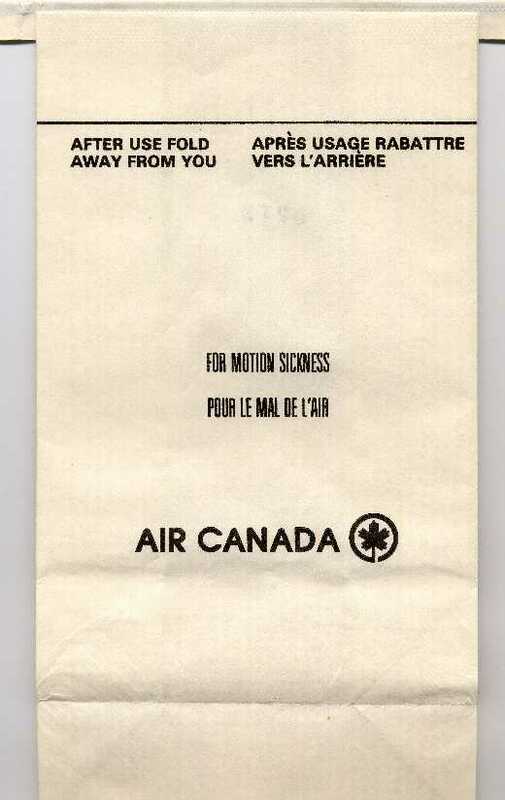 Come on, surely there's more to be proud of than your air sickness bags. 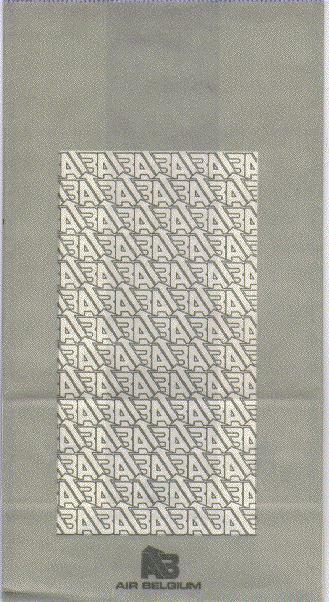 Note the fancy pattern on the back of this bag. 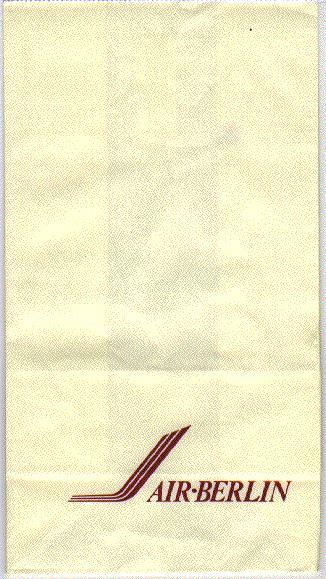 This vomit bag is apparently the Treasure of Myanmar. 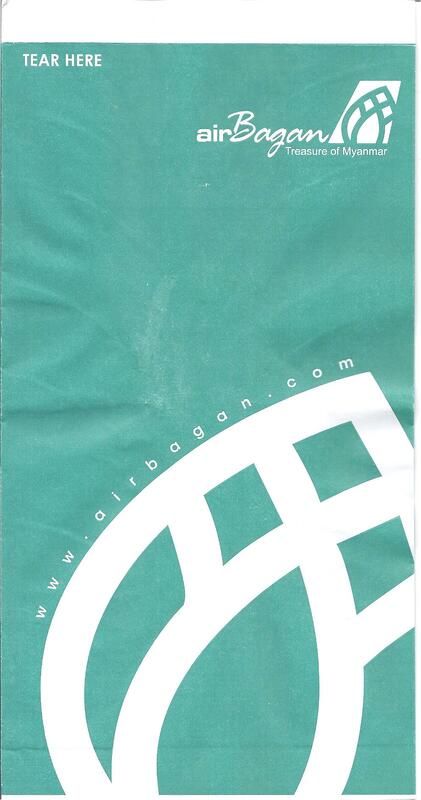 Here, the enormous leaf is the focal point of the bag(an). 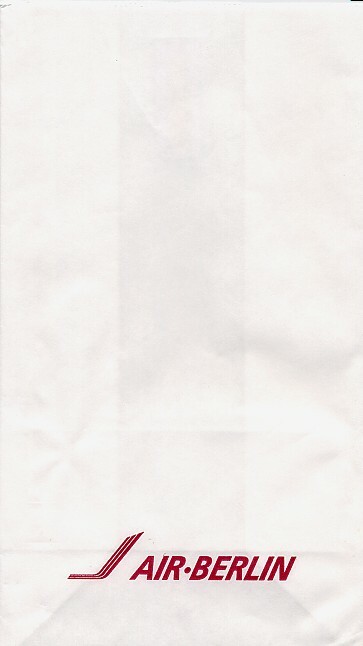 How can I put this nicely? 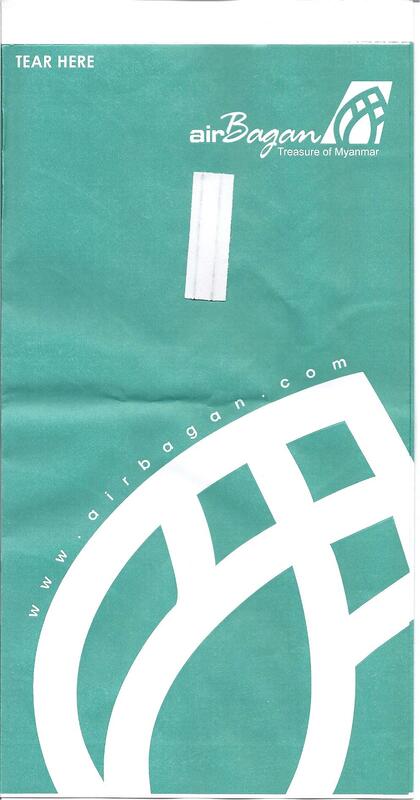 This is the only bag I've ever encountered that has a male organ as part of the logo. Anyway, nice Air Europe-ish colors and layout. The bag says, 'Luchtziektezak' which reminds me of a girl I went to high school with named Arlene Lucszak. 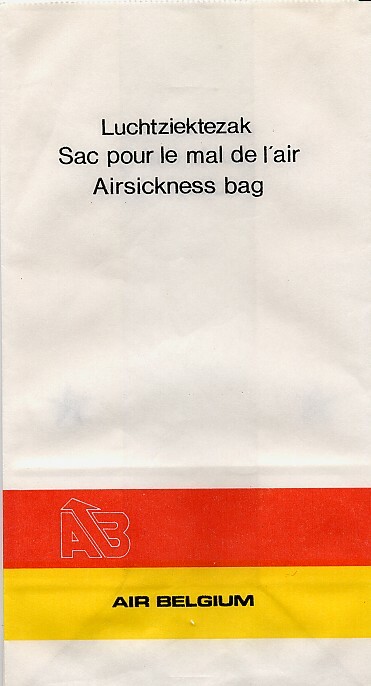 Little did I know her name meant 'Air Sickness Bag'. Air Berlin executives decide that this version should have the same sized text as its former self, but the logo should be downsized! 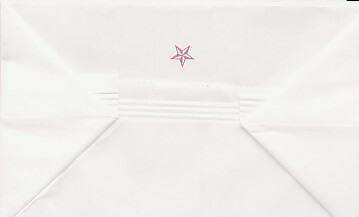 Web savvy Air Berlin adds a URL to their bag and eliminates the bag's bottom so that it now meets as a V.
Web savvy Air Berlin adds a URL to their bag but re-instates the bag's bottom with a De-Ster star. 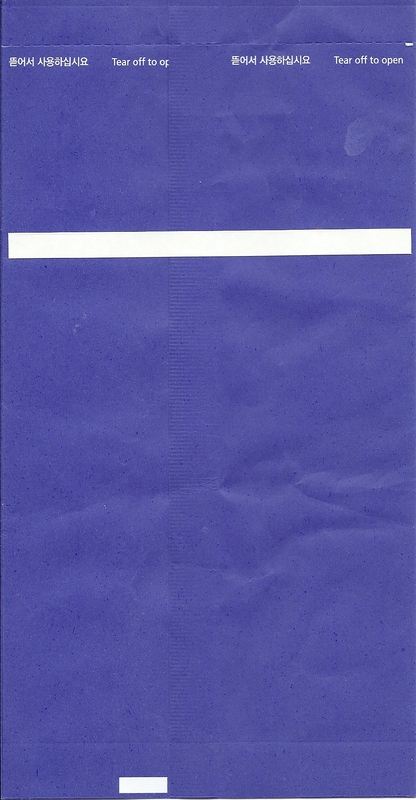 OMG, this has to be the most boring bag ever manufactured. 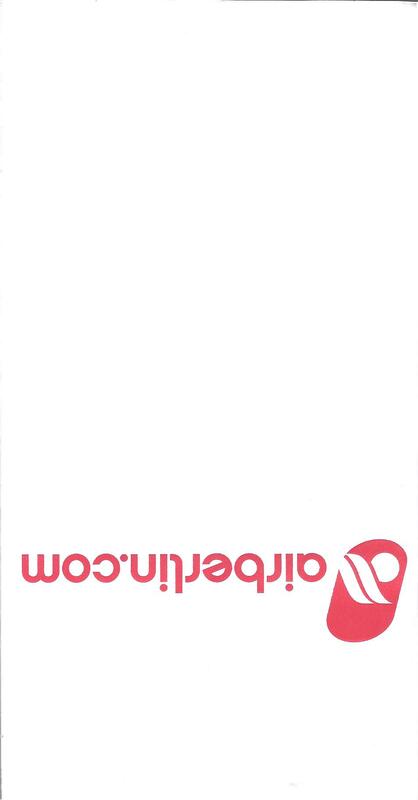 I'm sure there's a good reason they printed airberlin.com upside down, but I sure as hell don't know why. 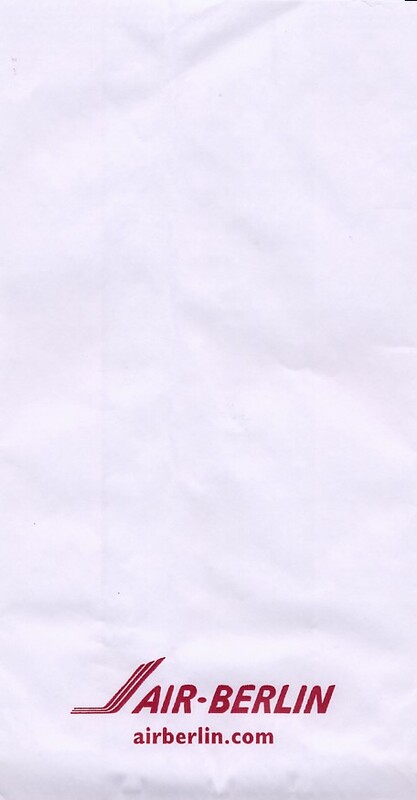 Now they got it right side up. 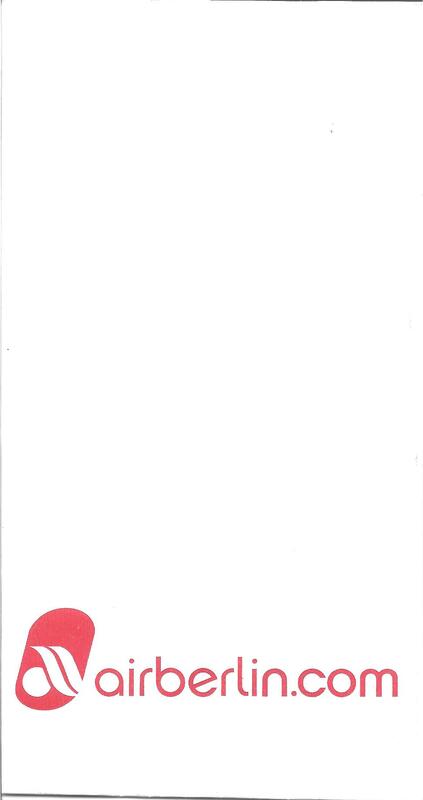 But unfortunately, it's horribly boring and corporate. Did something disagree with you? 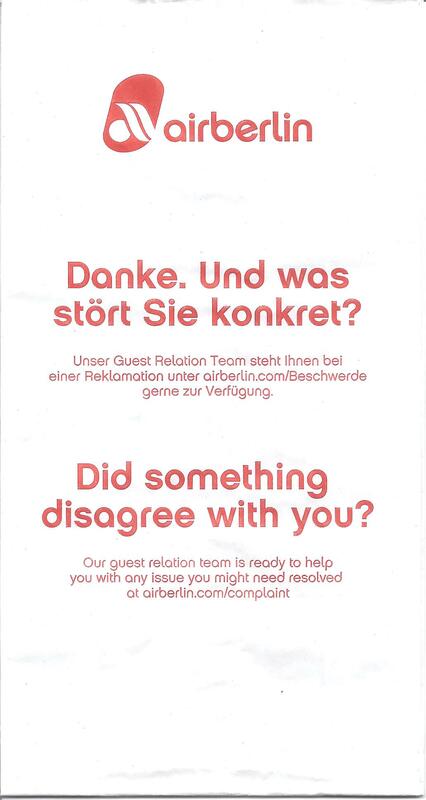 Our guest relation team is ready to help you with any issue you might need resolved at airberlin.com/complaint. The bag shows Mr. M'Barek admonishing you to Kotz Leise or "Barf quietly"
The bag says, "Going Your Way" which to me is very reminiscent of the Twilight Zone Episode where the hitchhiker says, "Going My Way?" One of the least interesting bags in all of the Reunion Islands. Nice bird of paradise (?) 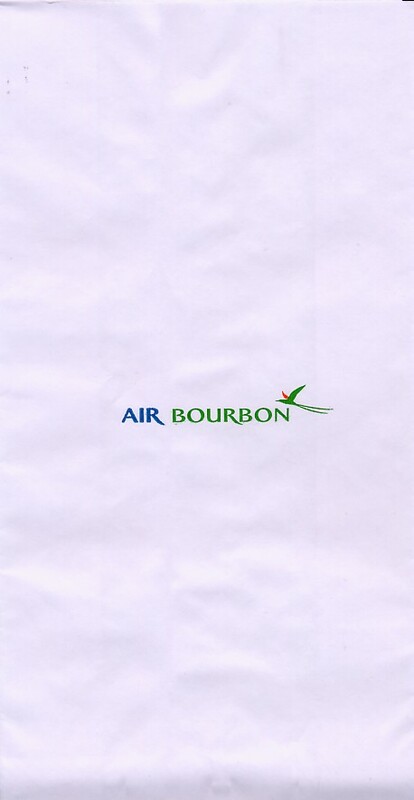 logo reminiscent of Air Niugini. Very reminiscent of the newest Korean Air bags. Air Busan only has a fleet of 11 planes (in 2014 anyway). 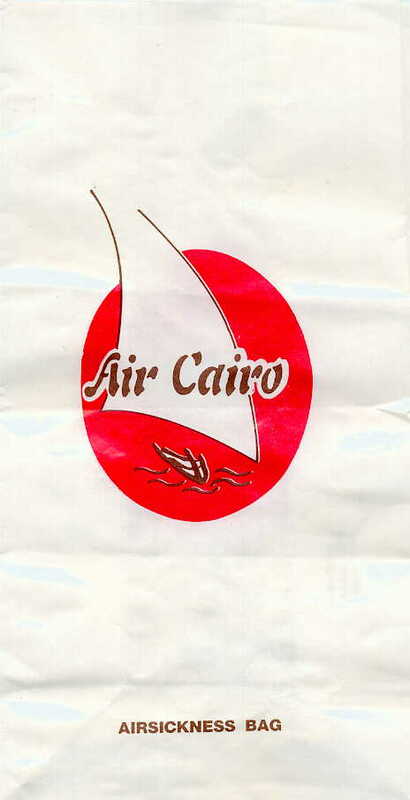 Even though Air Cairo is an airline, it appears they printed a sailboat on the bag. 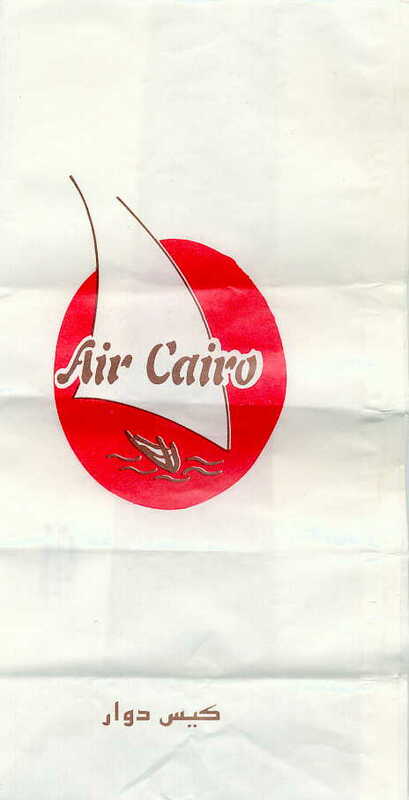 Mr. Melis the donor says, "Air Cairo - Cairo Aviation is a strange company. 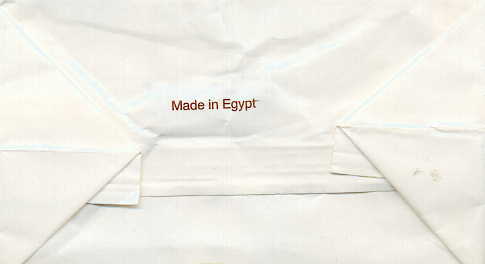 While they operate as Air Cairo, their jets have the Cairo Aviation label." Crisp black on white. 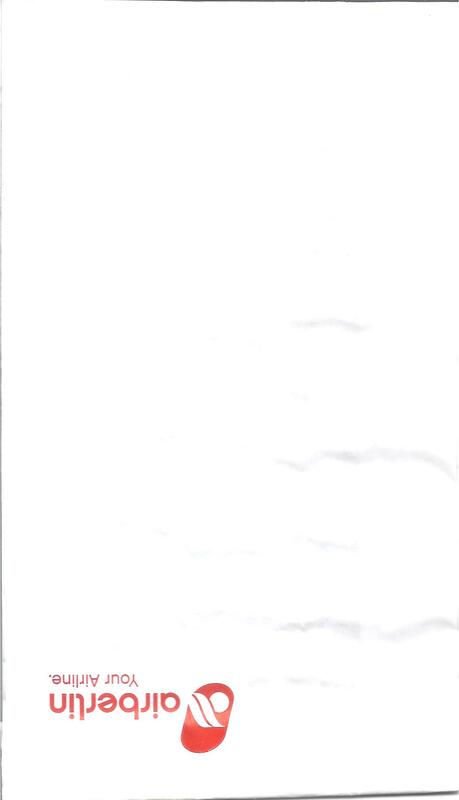 What else could you ask for (besides thought and design)? 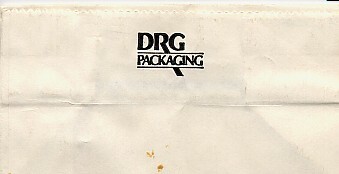 Same as other Air Canada black and white bags, except the bottom says 'DRG Packaging', DRG being the manufacturer.